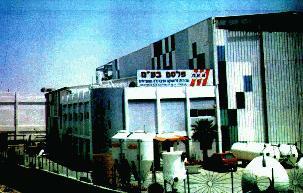 18 Hazorea st. Emek Sara B. Beer-Sheva 84102, Israel. services in various domain of plastics,to industrial factories, chemical industrial, agriculture and other special applications. The company's high level of performance is supported by a combination of five important central components: solving any problem rising during the client's manufacturing process. Providing alternative affordable solutions for super metals and rare metals. providing solutions by practical technical backup, exactly where the client needs it. bringing ideas to practice-giving a detailed solution to general idea. Providing a comprehensive service, starting from designing the product, to its manufacturing,transporting and installing it at the client's facility.